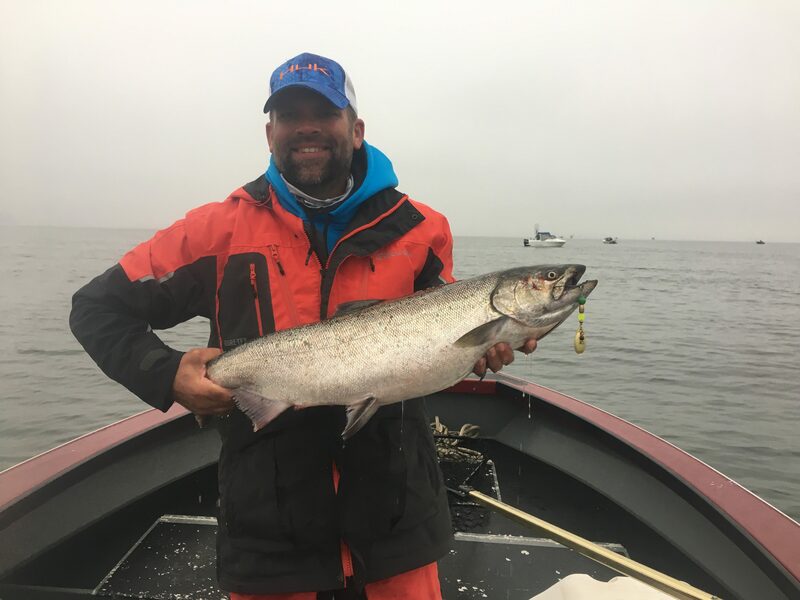 Over the years we at Stone Cold Beads have seen a significant diminish in the selection of casting spinners designed for catching salmon and steelhead. In most cases, there are only a couple brands available at your local tackle shop and unfortunately, most are not very good for casting, not to mention of inferior quality. Salmon and Steelhead can range anywhere from 5lb to 50lb and only a strong and well-made spinner will do for catching these amazing fish. The last thing any angler will tolerate is a lure that will fail under the pressure and raw torque these fish can apply. That is why we at Stone Cold Beads set out to produce a high-quality product with our natural stone beads and stainless steel hardware. The combination of our natural gemstones, high gauge wire and solid brass, nickel, silver, and gold plating provide the perfect weight, balance, and flash accompanied with strength for a winner every time. This is what inspired our Rock and Roll line up of casting spinners. Because as you guessed it these babies rock and roll when you’re fishing them! In a world of just another lure, our Stone Cold Beads “Rock & Roll“ spinners really shine. We’ve created a super strong, easy to cast salmon and steelhead killer that you’ll be proud to have in your tackle box. Check out our all-star line up of spinners that really entice the fish to the bite. When you fish our spinners you’ll never go back to cheap poor quality gear. These babies are built to last. All our fishing spinners are made of only the highest quality materials that will hold up under the tug of a monster king salmon or the yank of a feisty steelhead. We designed these spinners with a swivel at the top that will help prevent fish from twisting off the hook. Plus we use specially designed sickle siwash hooks for even better-staying power after you set the hook or our 4x strong treble hook that really sink the point home. Check our out Rock and Roll Spinners today! Every spinner is hand twisted, with made in the USA hardware and accented with our trademark Stone Cold Beads.